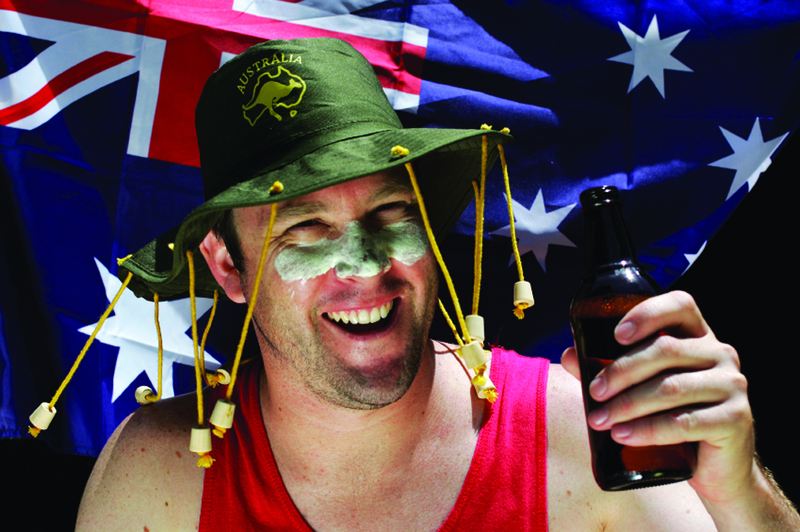 Australian 2011 census data has just been released and it’s painting an interesting picture of the average Aussie stereotype you may be used to: a cork hat wearing, crikey-exclaiming, tanned bloke? Not any more. Read on to discover what the average Australian looks like in the 21st century. The average Australian is a woman. In 2011, just over half of Australia’s population was female. In fact, since 1979, women have slightly outnumbered men. In 2011, the average Australian was 37 years old. In 2011, only 3% of Australians reported they were Aboriginal or Torres Strait Islander. The largest group of people born overseas continues to be those born in the United Kingdom – they make up 5% of Australia’s population and 21% of all overseas born people living in Australia. However, amongst recent arrivals (so people that arrived in Australia after 2006), the top position is held by India. UK-born people made up 12% of recent arrivals, and India-born people 13%. What is their ethnic background? Nearly three-quarters of Australians had at least one of these ancestries. The average Aussie only speaks English at home – 81% of the population reported only speaking English at home. But nearly one in five people spoke a language other than English at home. According to the 2011 census, 67% of men and 56% of women were employed. For both men and women the most common occupation in Australia was sales assistant. Men work an average of 41 hours, compared with 32 hours for women. The average Aussie lives in one of the state or territory capitals. 60% of people lived in a capital city, with 35% living in either Sydney or Melbourne. Capitals and other major cities accounted for over two-thirds of Australia’s population in 2011 – 69%. The average Australian lives in a free-standing, three-bedroom house. “According to the 2011 Census, the average Australian is a 37 year old woman, born in Australia and with both of her parents also born in Australia. She has English, Australian, Irish, or Scottish ancestry. She speaks only English at home and belongs to a Christian religion, most likely Catholic. She is married, and lives with her husband and two children (a boy and a girl aged nine and six) in a separate house with three bedrooms and two cars in a suburb of one of Australia’s capital cities. They have lived in that house for at least five years, and have a mortgage where they pay $1800 a month. She has a Certificate in Business and Management, and drives to her job as a sales assistant, where she works 32 hours a week. She also does unpaid work around the house for five or more hours a week. While many people will share a number of characteristics in common with this ‘average’ Australian, out of the nearly 22 million people counted in Australia on Census Night, 9 August 2011, no single person met all these criteria. See the full report of Australian social trends.